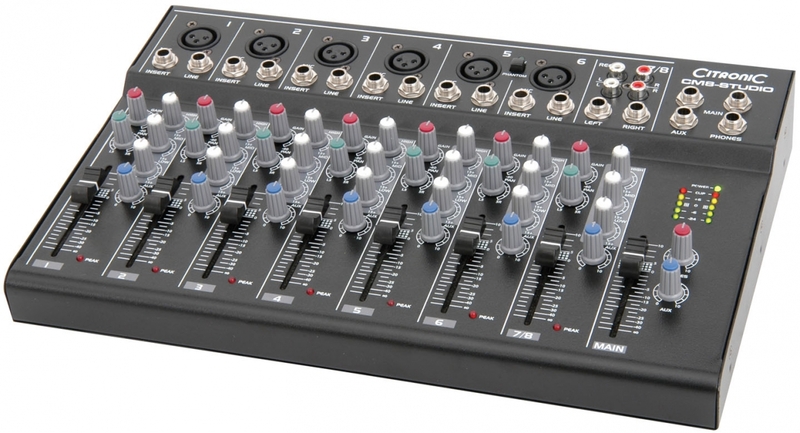 Compact format mixing console with mic/line inputs (jack/XLR) and a stereo line channel. 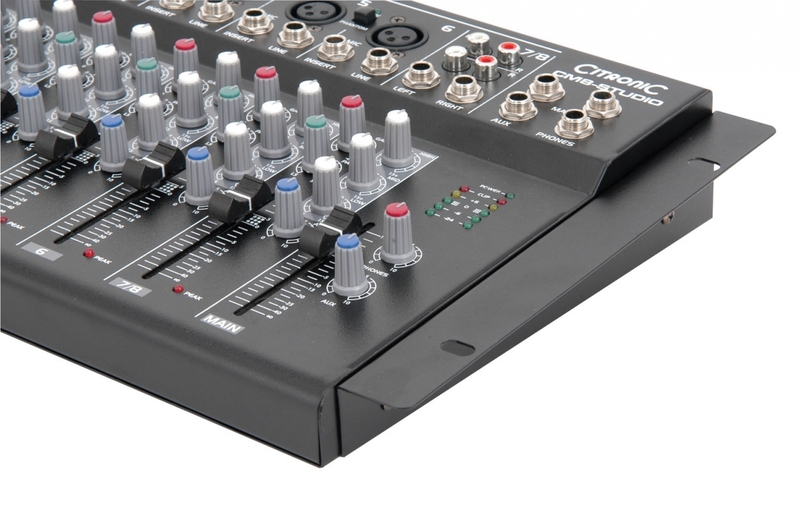 Mic/line channels have individual inserts and all channels have 3-band EQ and Aux controls. Phantom power of +48V is switchable to the XLR inputs for condenser microphones. 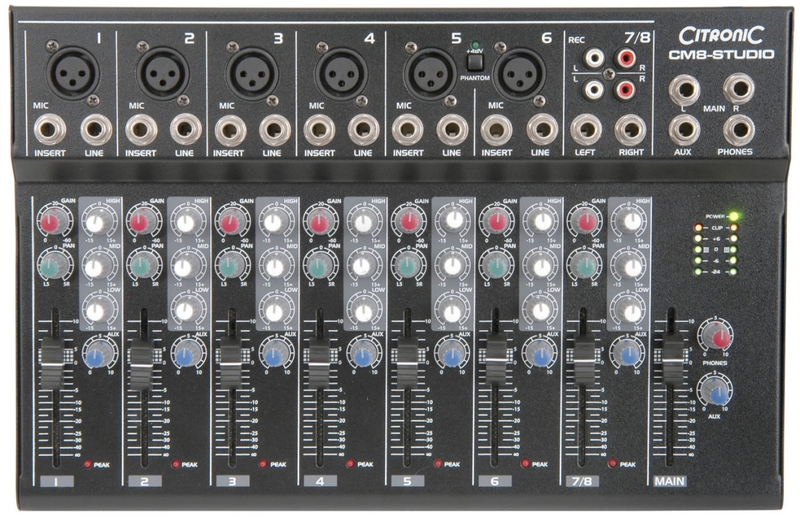 Main output is via balanced 6.3mm jacks and a USB type B connector feeds main output and receives a master input for DAW applications. SNR : mic inputs 120dB E.I.N. 120W LED PAR64 med IR fjärrkontroll och 7-kanals DMX-styrning samt 9 inbyggda program i ett starkt aluminiumhölje. 36st 3W LEDs. 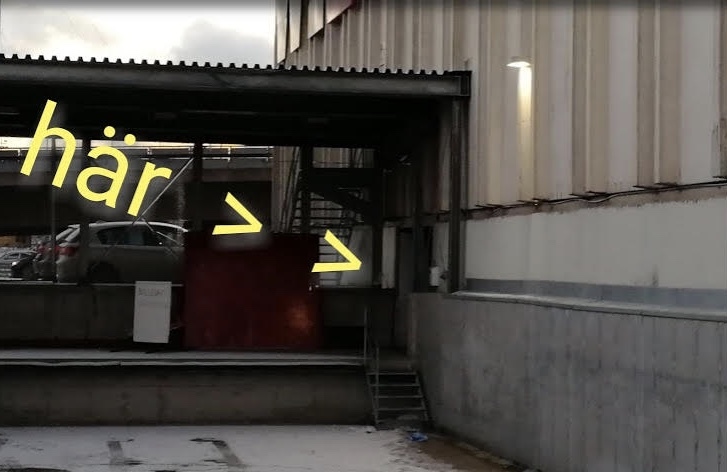 Röda, gröna och blå LED. 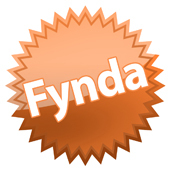 Musikstyrning och förprogrammerade effekter.